Please fill in the form on-line or pdf and return soon via e-mail to accommodation@omc.it. Deadline 8th February 2019. After this date, rooms will be assigned based on availability. You will receive a detailed proposal with hotel specification for you to approve. The reservation will be confirmed by e-mail upon receipt of full reservation payment or credit card details as guarantee. A voucher will be sent out as confirmation of your reservation. RIVIERA CONGRESSI will issue a formal invoice for the whole reservation amount, and send it after the payment. Any incidental and City tax, should be paid directly at the hotel check-out counter. GROUP RESERVATIONS will be dealt by RIVIERA CONGRESSI with separate agreements. Please contact us at accommodation@omc.it for details. Transfer requests will be confirmed by e-mail upon receipt of full payment or credit card as guarantee. A voucher will be sent out as confirmation of your reservation with pick-up and drop-off hours and emergency phone number. RIVIERA CONGRESSI will issue a formal invoice for the whole reservation amount, and send it after the payment. GROUP TRANSFER (5 or more people) will be dealt by RIVIERA CONGRESSI with separate agreements. Please fill in the form on-line within 8th March, 2019. 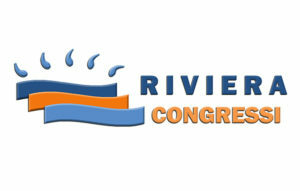 Riviera Congressi provides a staff of professionals who are trained with detailed briefings to welcome your customers. Hostess and Steward for congresses. Hostess and Steward for fairs. Hostess and Steward for promotions. I authorize Riviera Congressi to charge my credit card for the total due of the reservation.